Antarctic ice canyon carved by runoff. Note the two men standing on the right for scale. There’s a double whammy for you: Global warming is increasing the amount of water in the oceans from melting ice, and also increasing the sea level rise by heating up the water itself. The West Antarctica melt is troubling. We’ve known it’s losing ice, but measurements have been unclear as to how much ice, until now. The West Antarctica sheet is a huge amount of ice, and there are indications it’s breaking up. That would add a vast amount of water to the oceans. Mind you, sea level rise doesn’t generally change when sea ice melts, because that ice starts out floating on the water—ice floating displaces its own weight in water, so when it melts, the volume it occupies is the same as it did before (though it’s not that simple, and floating ice can still contribute to increased sea levels). 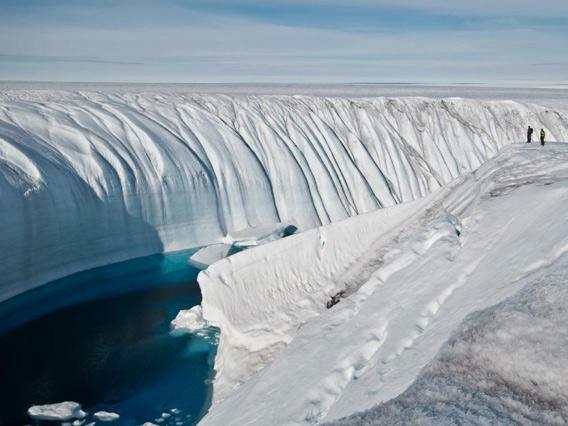 But land-based ice flows into the oceans, raising sea level. 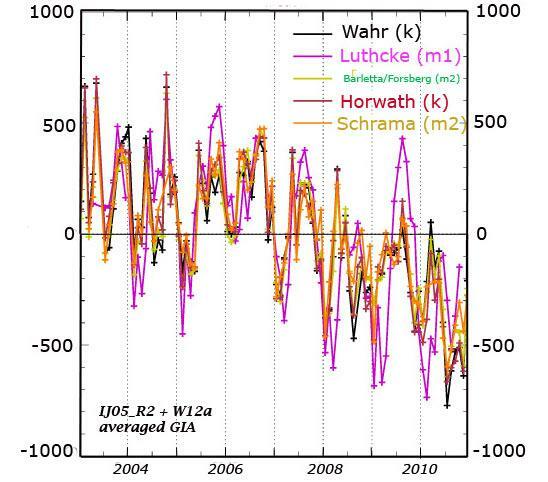 This new study wipes out yet another false claim from climate change deniers, too. A common refrain from them is that Antarctic ice is increasing, not decreasing. However, this is not true for two reasons. The first is that they count sea ice in that measure. However, Antarctic sea ice tends to melt away completely every year in the spring and summer, and then it reforms in the winter. It therefore on average does not contribute to sea level rise or to the heat budget of the Earth. Second, this new study shows the claim is wrong anyway. We are losing ice from Antarctica every year, and it’s the critical land ice. But this is nothing new when it comes to denier claims. Between cherry-picking data that supports their argument but ignores huge amounts of evidence refuting them, displaying misleading graphs, and out-and-out witch hunts and attacks, very little of what they claim is true. 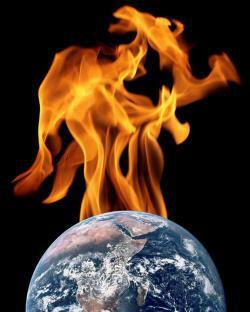 The truth is the globe is warming. The climate is changing. Ice is melting, sea levels are rising, droughts and wildfires are on the rise, and much if not all of this is due to human activities increasing greenhouses gases in our atmosphere. It really is that simple, and it’s long, long since past time we acknowledge that. And that’s just the first step, but given how loud the deniers are, it’s one we still have to take.